Six week course starts Monday 1st April 2019 - 20th May 2019 (no classes on Bank Holidays 22nd April and 6th May), 6:30pm-7:30pm, Epiphany Primary School, Muscliff, BH9 3PE, £36. Kettlercise is usually held as a continuous, six week course. Where the number of weeks vary, the prices have been updated as shown. Six week course starts 10th June 2019 - 15th July 2019, 6:30pm-7:30pm, Epiphany Primary School, Muscliff, BH9 3PE, £36. Early bird price of £30 applies to payments made in full before 27th May 2019. Email to book at early bird price. It uses our specially formulated B.S.M. (blood shunting method)…Our own secret formula to maximising calorie burn – destroying fat super quick! Kettlercise® covers a huge range of 37 kettlebell exercises ranging from basic moves to more advanced techniques, from high energy pulse raising moves to being able to place extra emphasis on target muscle groups like abs, glutes, arms and thighs and all with maximum effectiveness. 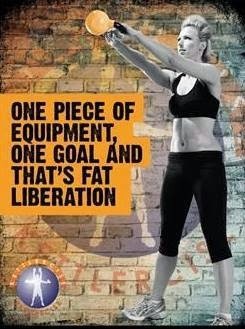 Kettlercise is an amazing group fitness class that will literally see your body shape transform before your eyes! Perfect for improving fitness and stamina, strength, muscle tone and really boosting fat and inch loss! The class is course based, and you will work through a series of full body, functional exercises that really get you working hard! This is not an easy fix, you work hard to get the fabulous results! At all of my courses I offer body composition testing on the first and last weeks of the course to help your see the progress you've made, for more information on body composition click here. Perfect for both men and women that are looking for a great workout and even better results. We will cover exercises for your legs, arms and core so no muscle will go un-worked! You can expect to burn between 600-900 calories per session, but the most important thing to remember that Kettlercise will help to increase your muscle mass, and more muscle (doesn't mean more bulky), means more efficient fat burn, even whilst sleeping - So this really is an investment your body cannot afford to miss out on! 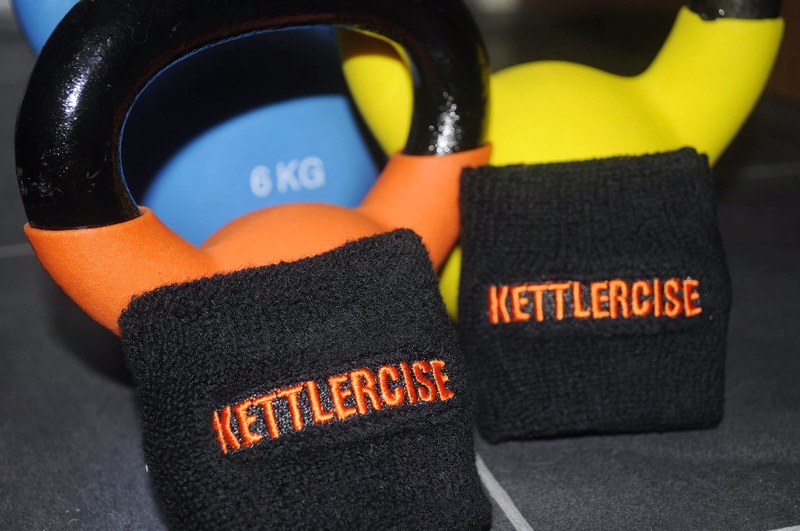 Kettlercise is suitable for all ages,shapes, sizes and abilities, it is quite a challenging workout so please make sure you check with your GP if you have any health concerns. Please note this class is not suitable for pregnant women. The class is structured so you can take it at your own pace, easier options are given for a lot of the exercises, I can give you alternatives if you are unable to do a particular exercise. Fitness/workout gear i.e. T Shirt & Joggers. Trainers compulsory. You will need to purchase your own kettlebell to bring with you. I can provide you with official Kettlercise bells at a cost of £16.50 (4kg) and £18 (6kg), alternatively you can purchase your own. It is important that when choosing your kettlebell, that you purchase a cast iron bell (preferably coated), and not one of the bulky vinyl/plastic ones. It is recommended that women start with a 4kg kettlebell and men a 6kg. I also recommend bringing plenty of water and a small towel as you will sweat & also an exercise mat if you have one (I do carry a few spares with me though). I also recommend that you use sweat bands, as these help to cushion your wrist when you are new to Kettlercise, I can order you an official pair at a cost of £7.99.